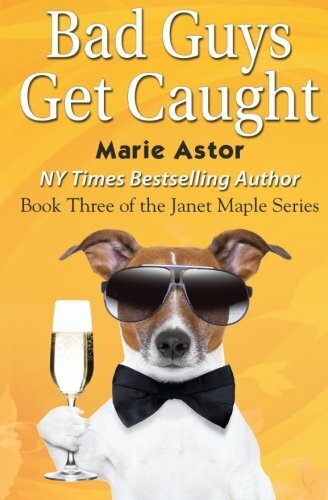 Bad Guys Get Caught (Book Three in the Janet Maple Series) Janet Maple and Dennis Walker are aces at catching the bad guys, but an assignment involving an international gangster and a sleazy politician just might have them in over their heads. With the man of her dreams on her arm and a dream job at one of NYC’s top private agencies, Janet’s life is nearly perfect. But when a high profile case falls into her lap, Janet finds her competitive streak kicking in, taking risks she shouldn’t be taking. Dennis Walker loves catching the bad guys as much as he loves being in the limelight. Will he be able to share the laurels with his girlfriend who also happens to be his work partner? And will the bad guys get caught?